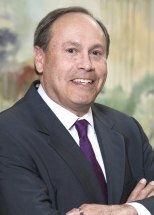 Gary Cowan is a personal injury attorney and trial lawyer with more than 25 years of experience. He joined Elk & Elk Co., Ltd. in 2001. Since 1988, he has acted as lead trial counsel in more than 88 jury trials throughout the state of Ohio. Attorney Cowan is deeply committed to preserving the rights of injured individuals. His background in science is invaluable to his clients. It affords him the ability to explain to insurance carriers and juries the nature and enormity of his client’s injuries, their losses and the effects on their family. Whether your loss is due to a motor vehicle, motorcycle, truck, a defective product or a dog attack, Attorney Cowan can secure you the benefits you are entitled while allowing you the time to focus on healing. If you have sustained a loss of life of a family member or friend due to the negligence of another, Gary Cowan is well versed in wrongful death actions, having obtained record verdicts and settlements throughout the state of Ohio. Attorney Cowan is a motivated, knowledgeable and accessible attorney who is always there for his clients to answer their questions and guide them through the legal process. Gary Cowan is a member of many prestigious organizations for trial lawyers, including Super Lawyers, the Million Dollar and Multi-Million Dollar Advocates and the National Trial Lawyers Top 100 in Ohio. He has been included in high profile cases that have been reported locally and nationally. His practice emphasis is on serious personal injury claims, motor vehicle and trucking accidents, wrongful death and products liability. In his spare time, Gary is an avid fan of baseball and standardbred horse racing. He enjoys spending time with his wife and two boys, especially while vacationing in warm-weather climates. Plaintiffs were riding a motorcycle when the right rear axle broke. An auto parts store sold the defective part, the husband was killed and his wife was severely injured. Plaintiff was riding a motorcycle when he was hit by semi-truck on the turnpike. Plaintiff suffered traumatic brain injury and fractures to the back. The 42-year-old Plaintiff was killed after his motorcycle collided with an irrigation trailer that came unattached from the vehicle towing it. The pump traveled left-of-center and hit the motorcycle, ejecting both the driver and passenger. A 33-year-old male was rear-ended by another truck who failed to maintain the assured clear distance ahead. He sustained thoracic disc herniations, resulting in two spine surgeries, as well as lengthy pain management treatment. The 57-year-old male was a passenger in a vehicle hit head on by a small construction truck and suffered fractures to his ribs, acetabulum, pelvis and patella. He also sustained a collapsed lung and splenic laceration. Our client, 18-years-old at the time, was traveling with three passengers when an 18-wheeler in the left-hand lane negligently merged into the Plaintiff’s lane, striking the driver-side door and forcing the vehicle off the highway and into the woods. A rescue crew had to extricate her from the tangled wreck and she was taken to an area trauma center where she remained for 11 days. The Plaintiff was diagnosed with severe craniofacial trauma, multiple facial lacerations, a large laceration on her neck and an eye injury. She sustained severe head, face and chest trauma, including a collapsed lung, blown-out eye socket, bleeding of the brain, fractures to the nose, jaw and eye and a severe concussion. In addition to rehab and therapy, she underwent several reconstructive surgeries. A 46-year-old male was struck while placing tables back into a pick-up truck on a four-lane roadway. He sustained a comminuted right tibia/fibula fracture, left tibia/fibula fracture, fracture/dislocation of the right shoulder and fractures of L2 and L3 transverse processes. While riding his bike, the Plaintiff was side wiped by a pick-up truck. He suffered a fractured left arm, multiple abrasions, contusions and a concussion. He underwent surgery to repair the fracture. The 43-year-old male was struck by a motor vehicle, which failed to yield the right of way at a stop sign. He sustained a disc herniation requiring cervical spine surgery, as well as a right foot fracture. Decedent, a 19-year-old male, was struck on the side of the road at nighttime by a motor vehicle. He sustained a closed-head injury and died six weeks later after slipping into a coma.